Wallet chains were popularized by the pioneers of ’70s punk, who wore them prevent theft, and to maintain possession their stash in the chaos of a mosh pit. It has since become a fashion accessory synonymous with various music subcultures. 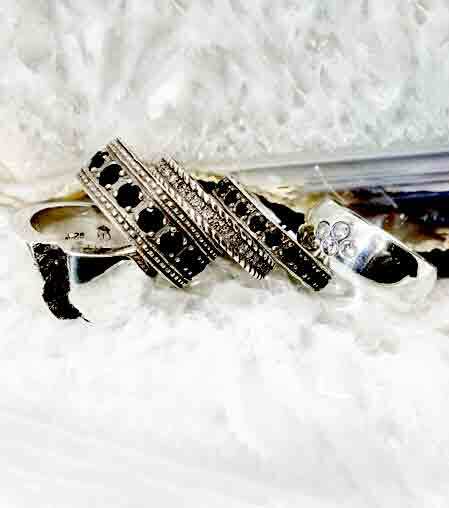 Lazaro’s wallet chains are crafted from premium metals and built to last. The rock and roll star clasp on this vintage men's wallet chain looks sharp. This 17" brass wallet chain for men features a deer skin leather fringe tassle. 16" Vintage Tibetan wood bead wallet chain for men with sterling silver roundels. This men's wallet chain with a deer skin leather fringe tassle features a brass clasp and key ring. Men's wallet chain with a sturdy brass clasp detailed with a fleur de lis. This Iconic brass wallet chain for men is 15" long. This double link wallet chain for men features a vintage hand woven brass chain. 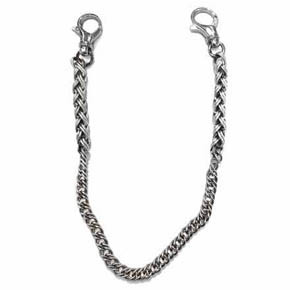 This durable classic men's wallet chain is 17" long and 7.5-8mm wide. 21" Tibetan wood bead wallet chain for men handstrung with 11-12mm beads. This men's wallet chain features a woven fringe deer skin leather tassle and brass clasp. White brass and onyx wallet chain for men featuring lamb skin leather. 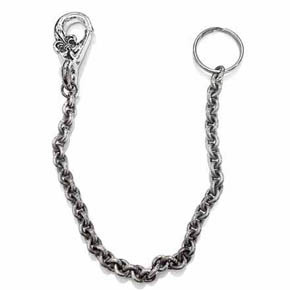 This limited edition men's wallet chain has a lobster claw clasp detailed with a fleur de lis. This white brass key chain was handmade with high quality leather. This handmade leather belt fringe features white brass. This handmade leather belt fringe features yellow brass. Always keep your wallet safe and accessible with Lazaro's unique collection of men's wallet chains. These handy chains are perfect for bifold wallets, trifold wallets, money clip wallets, and pocketbooks.